Rosamond Marie Bianco, age 89 of L’Anse, MI passed away on Sunday, March 17, 2019 at her home surrounded by her family. She was born June 16, 1929 in Copper City, MI daughter of Albert and Rose (Schmidlin) Rolof. Rosamond graduated from L’Anse High School in 1947. While in high school she worked at Mazda Theatre, then after graduation she worked for Dr Guy as a receptionist. Rosamond married Joseph Bianco on September 17, 1949 at Sacred Heart of Jesus Church in L’Anse. She raised a family of eleven children and worked at the family business, Bianco Plumbing & Heating Inc.
Rosamond was a member of Sacred Heart of Jesus Church. 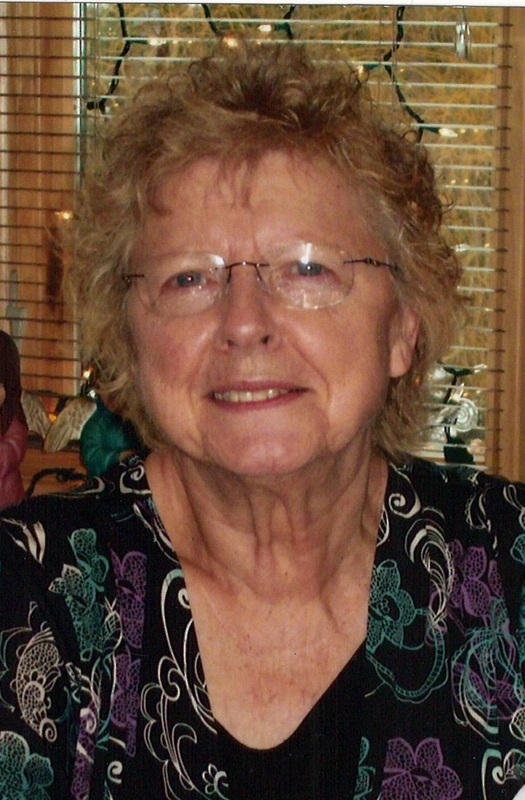 She loved crocheting, sewing, puzzle making, coloring, painting, and was an avid Packers and Red Wings fan. Surviving are her son Dave (Jean) and their children Brian (Anna), Christine, Jamie; daughter Mary (Bill) and her sons Ryan (Quinn) and Michael; son Mike (April) and his children Kyle, Kacie (Kyle) Ashley, Brittany; daughter Sue (John) Turunen and their children Dan, Beth, Matt (Koni); daughter Joanne (Ed) Gransell and daughters Laura and Mandy; son Joe (Roberta) and his children Jill (Ryan), Tyler, Jessi; son Steve (Holly) and his children Angela, Michelle, Cody; son John (Amy) and their children Tony, Justin, Lauren; son Jim (Angel) and his children, Savannah, Isaac, Genevieve, Rachel; son Robert and his daughters Courtney and Madison; 26 great grandchildren; brother Ted (Dorothy) Rolof; sister Cecelia (Dale) Tembreull all of L’Anse. Preceding her in death are her parents; husband Joseph; son Daniel Bianco; grandchildren Jason and Jada; brother William Rolof; and sister Miriam Robinson. Visitation will be on Thursday, March 21st from 11-1:00 p.m. at Sacred Heart of Jesus Church. Her funeral mass will be at 1:00 p.m. at Sacred Heart of Jesus Church with Fr. Corey Litzner officiating. A luncheon will follow in the church hall. The burial will be in the spring in the L’Anse Evergreen Cemetery. The Jacobson Funeral Home has been entrusted with the funeral arrangements.